Home / Walking Holidays / Wales Coast Path Spectacular! Sample the very best of the Wales Coast Path, a self-guided day tour of the Edge of Wales - the dramatic scenic tip of the Llŷn Peninsula. Park your car at the National Trust car park in Aberdaron from where we will collect you in our minibus and take you to Methlem so you can walk down to the eastern end of Porthor / Whistling Sands beach. We will issue you with maps and a GPS navigation unit and information notes on the route. 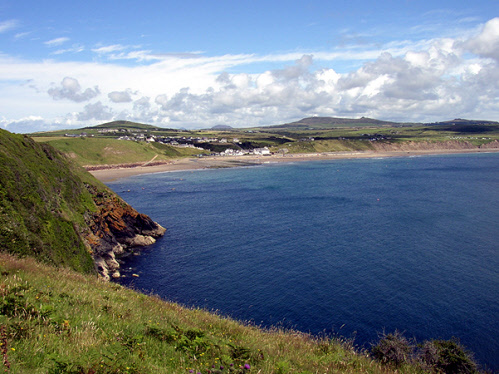 You can then walk along the famous Whistling Sands and the 12 miles back to Aberdaron along the very best stretch of the Wales Coast Path, often referred to as the Edge of Wales. 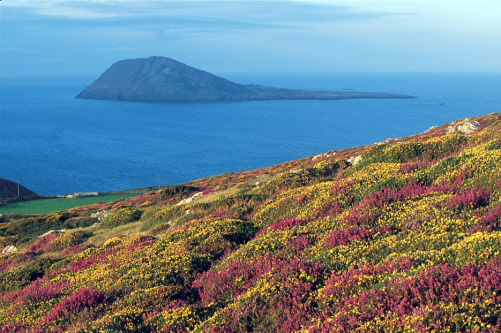 This takes you on a coastal route onto the hills of Anelog and Mynydd Mawr, the dramatic Pen y Cil headland, St Mary’s Well and with views across to Bardsey Island and to Ireland itself on a good day. If you are looking for accommodation in the Aberdaron area then we would be delighted to find it for you. The cost of this tour would be £10 person with a minimum of 2 persons and a maximum of 10, with the 9th and 10th persons going free.